Hydroponics is a method of growing plants using mineral nutrient solutions, in water, without soil. In a recent Mingpao article titled “Farming can make money”, the purveyors of hydroponically grown produce tout many of its impressive benefits. Chief among them was food safety. They rightly point out that much of China’s land is contaminated and its fresh water is polluted. This jeopardises our food safety since most of our food comes from China. They go on to suggest that hydroponic produce, grown in clean water without any soil, is a solution to our food safety problems. What they fail to note is that hydroponic production would in fact exacerbate the food safety problem. To understand why, we need to look at the source of the minerals used in a hydroponic system. Mining is one of if not the single most environmentally devastating activities carried out by mankind. According to the Australian government, these impacts include heavy metal contamination and leaching; the spilling and leaking of chemical agents from the minesite into nearby water bodies and erosion of cleared land surfaces. Thus, the production of minerals for hydroponic systems causes the pollution that it kindly offers to protect us from. In contrast, organic farming relies on biological (instead of chemical) processes to accomplish the same thing. The primary nutrients are derived from composted animal manures or recycled food processing waste such as bone, peanut and soya meal. Plants with the help of microorganisms (bacteria, fungus) living in the soil extract most of the secondary elements they require for growth directly from the soil. Organic farming mimics nature to create a virtuous cycle in which nutrients are recycled to produce more food. Hydroponics creates another type of “virtuous” cycle – a purely profit driven one. The more we contribute to damaging the environment by buying hydroponic produce, the more we are compelled to buy hydroponic produce to protect ourselves from the damage. A great business model indeed. of course Hydroponics can use organic minerals to grow the crops and if needed it can move to Aquaponics we just need to control the fish waste for the crop grown. Hydroponic growing can incorporate Organic practices but go many steps further because we can grow anywhere. If the soil is contaminated we can grow crops. How long does it take to grow organically two or three years to convert the farm before it is certified organic and then any thing can destroy this process. Yes hydroponic growers are driven by profit but who isnt if no one makes money how do you survive unless you look after yourself like the preppers do. If so then fine lets go back to the dark ages where we kill one another just for basic food. and the list goes on for green earth products yes let us not mine by machine let us use people and kill them because it is green and I dont care because I am saving the world. There will always be a debate on differences of methods in farming. I don’t want to make any impression that there’s nothing wrong with organic, or that hydroponic produce is always better. It can go either way depending upon the skill and ethics of the farmer. The main issue is for growers and consumers to understand that “organic” is a matter of definitions. Sometimes the organic produce is the best tasting and most nutritious available in the marketplace; other times the hydroponic produce is better, taste is all about preference. Ethical organic farming has a low environmental impact on the Earth, and this is an important point from a philosophical view. Hobby hydroponic growers need to find better ways to recycle used media and nutrients, the hydroponic method will not be equal to “organic” in these terms ytd. There are some hydroponic hobby growers in HK that grow plants, but not really understand the commercial fundamentals and fall short on even how the plant is suppose to look like. On the other hand, if a consumer are comparing the flavor and nutrition quality of a crop, both hydroponic and organic methods are excellent. Again…. it is the skill of the farmer. Most importantly, I think all this attacking is proving investors and governments right. That agriculture is a risks and may not be suitable for HK. You are all wanting better food, you are all wanting to support local agriculture; so why cant you fight together and increase local production instead of this verbal warfare. That 1.9% is a sad number. Outdoor Traditional plus outdoor hydroponic and fight up to 50%. Traditional can occupy the arable land and soil. 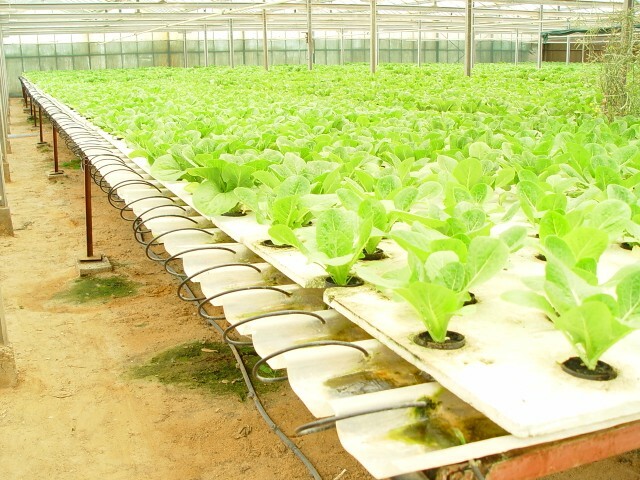 While hydroponics can occupy the non-arable land to grow a more sustainable HK. Next Next post: Water for Free~ Android app is now available for download!